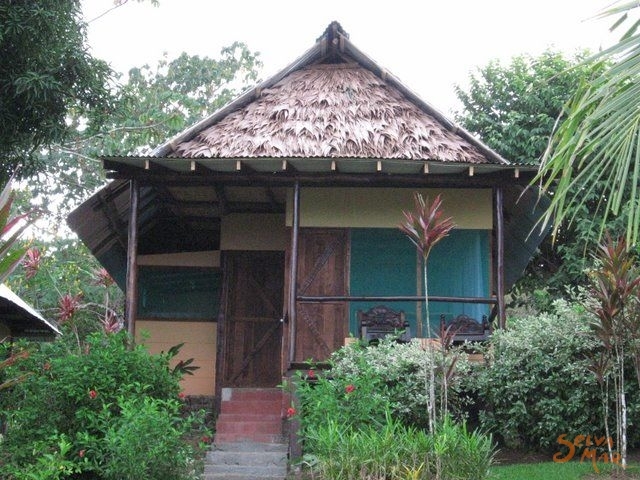 Punta Marenco Lodge is located in a paradise, conserved for 20 years as a Biological Reserve by a family of Costaricans. This land was previously known as Marenco Biological Reserve, but now, by owner effort, has been declared by the government of Costa Rica as a new National Wild Life Refuge, the name of this place is now "Punta Rio Claro National Wild Life Refuge". 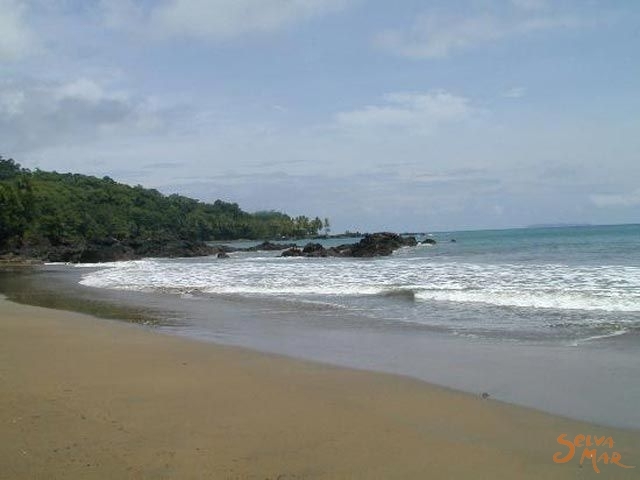 It encompasses a 500 hectare Rain Forest with miles of pristine beaches. Because of the lack of roads or airports, the access difficulty has allowed this corner of the world to maintain its natural beauty. You'll find that getting there is part of the Punta Rio Claro adventure. 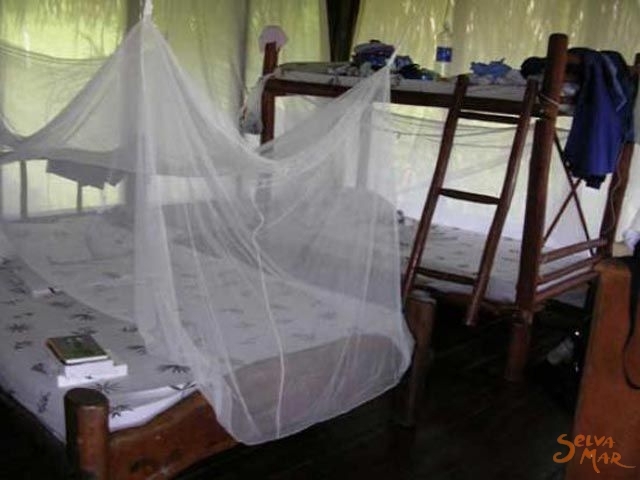 With the intention of sharing with those interested in experiencing and discovering the secrets and beauty of the primary Rain Forest of Corcovado National Park and surroundings, the family decided several years ago to open a small lodge allowing people to have basic accommodations in this area. 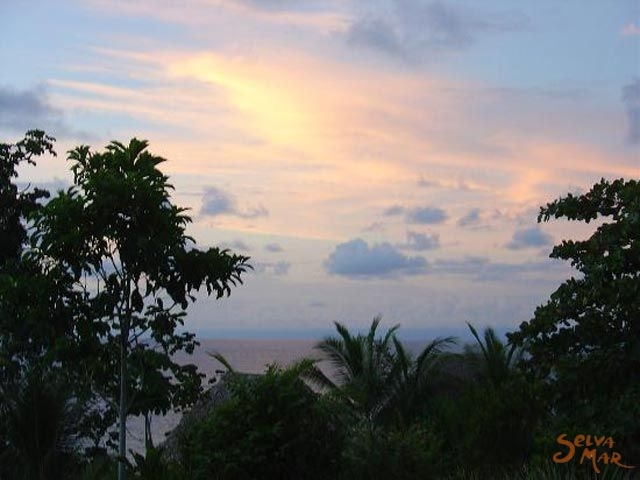 The captivating beauty of forested hills, sparkling waterfalls and miles of uninhabited beaches is the setting for your superb wilderness adventure" and idyllic location for hiking, horseback riding, photography, nature study, scuba diving and swimming or snorkeling , along miles of pristine beach. 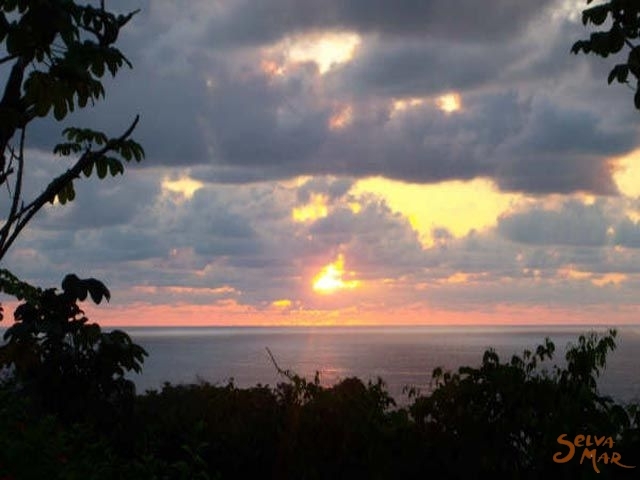 Punta Rio Claro also has knowledgeable guides of these areas who give tours to nearby Corcovado National Park, Caño Island or walks through the Rain Forest of the Punta Rio Claro National Wild Life Refuge. 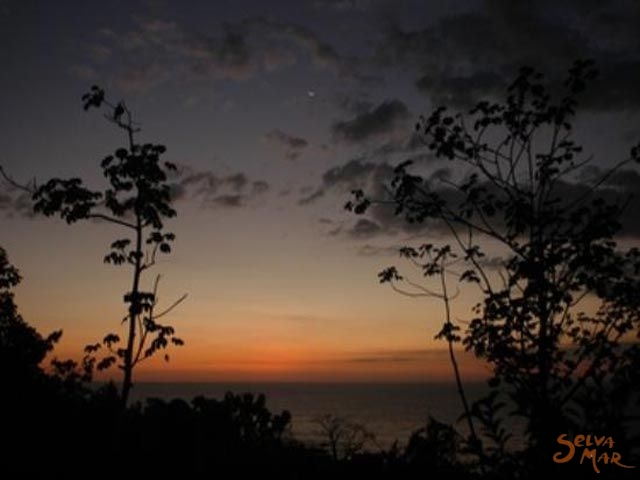 Punta Rio Claro is your gateway to Corcovado National Park, one of the most important natural preserves in Mesoamerica. It is one of the last refuges for Jaguars, Giant Anteaters, Tapir, White lipped Peccaries and a host of other rare rain forest animals. High plateau forest, with trees towering over 140 feet and supporting hundreds of species ferns, bromeliads and orchids, combines with palma swamps and mangrove to make Corcovado a botanists dream. Isla del Caño excursions present the diver with an ever changing underwater panorama along Costa Rica's richest pacific coral reef. It supports a rich marine life of tang, jack and needlefish, eels and huge porcupine fish and more. Punta Rio Claro's hilltop lodgings accommodate a maximum of 25 guests in comfortable, rustic cabanas, each with private deck, offering a panoramic view of the Pacific and surrounding jungle. Family-style meals are served in our large, airy dining room. Each room has a private bathroom. Electricity is provided by a small generator and is available from 6 pm till 10:00 pm, some times when our guess ask we can leave it on longer. Created in 1975 due to scientsts interest and realization that this area is one of the richest, most diverse tropical areas on earth, it's remote location, and variety of unique habitats(eight in total, ranging from mountain forest to swamp), made protection from development imperative. Fortunately scientists won the battle against lumbermen and other proponents of rainforest destruction, and the 108,022 acre national park was founded in 1975. Since then, the park has been the site of much scientific research, and biologists have identified at least 500 species of trees, 285 birds, 139 mammals, 116 amphibians and reptiles, and 16 freshwater fishes. The rainforest canopy reaches higher tha anywhere in the country. The Isla del Caño lies 17 kms due west of Punta Marenco (see map). The island and its environs invite study from several points of view. It is Costa Rica's largest concentration of coral-building organisms along the Pacific. Schools of tangs, jacks and needle-fish, as well as moray eels, wrasses and huge trigger and porcupine-fish present an everchanging panorama to those who venture below the surface. Boring sponges, Diadema sea urchins, sea cucumbers, many crustaceans and calcareous alga mats and balls add to the variety of life found among the Porites and Pocillopora corals of these reefs. 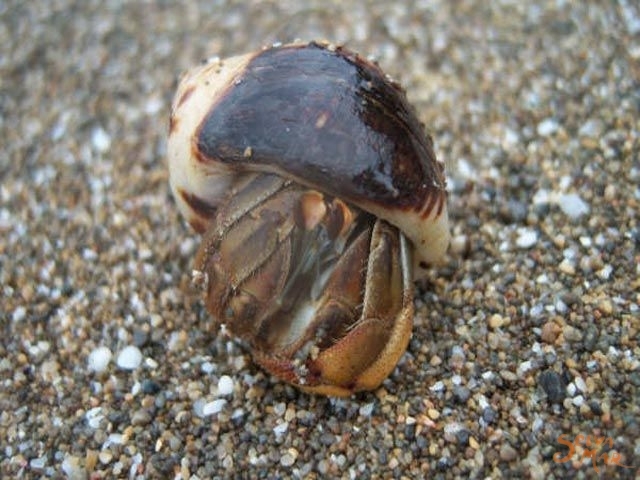 Marine life is abundant in the general vicinity of the island. Fishing boats take tuna, shrimp, shark, mackerel, snapper, and sardines in quantity. Manta rays are often seen breaching. Dolphins are encountered daily, and Olive Ridley sea turtles (Lepidochelys olivacea) are commonly observed swimming and even mating as they travel to and from the sandy beaches of the peninsula where they lay their eggs. Humpback whales are seasonally present and often sighted from Punta Marenco. The site is located in the province of Puntarenas, Canton de Osa, approximately 30 km from Palmar.This reserve is an important habitat of many species of birds, fish, mammals and reptiles. The mangroves play an important direct and indirect role in maintaining the fish stock. Some species depend on these sites for their life cycle or for an important part of this cycle (reproduction, growth or feeding). The area includes the estuary of the Rivers Terraba and Sierpe, and adjacent lagoons (Laguna Sierpe, Laguna Porvenir), periodically inundated mangrove and "yolillo" palm Raphia taedigera swamp forest, sandy beaches and cliffs. Biological/Ecological notes: The flora in the reserve is formed by hydrophytes whose growth cycle is in harmony with the aquatic environment. One of the local farmers offers this tour, is great for anyone with an interest in exploring primary rain forest outside of Corcovado. You can tour the area with a local guide and his string of native horses. Whale and Dolpihing encounters . Costa Rica enjoys one of the most biologically diverse ocean ecosystems in the world. This is mainly because the heart of a vast habitat known as the Costa Rican Thermal Convection Dome (named for its proximity to this country), lies here. Shallow, warm waters lie on top of low-oxygen cold water, creating the perfect ecosystem for a vast variety of marine life. The dome off the coast of Costa Rica is the only one in the world that is constant. Whales, dolphins, tuna, marlin, manta rays, sea turtles, sailfish and more all congregate near the Costa Rican coasts, taking advantage of this year-round dome of ecologically rich waters. The Punta Rio Claro Wildlife Refuge is the ideal place for bird watching and hiking our lodge is surrounded by a primary rain forest and we have private trails which can be use by our guests to walk alone our with one of our naturalist guides. A half hour walk from the lodge ends at Rio Claro, where a deep natural fresh water pool lies in front of a beautiful tropical rainforest beach. 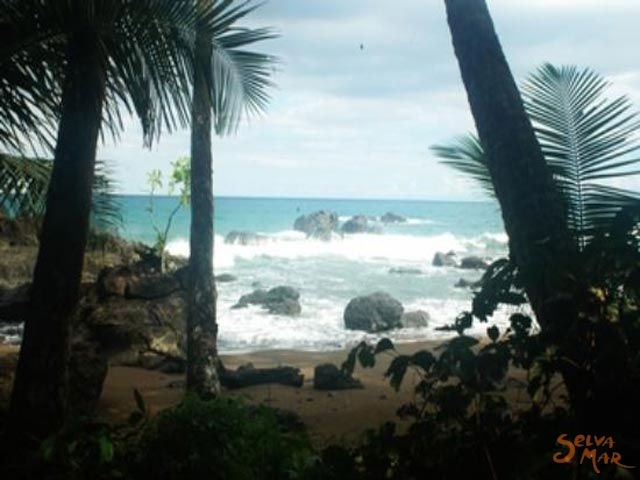 Punta Marenco Lodge is a small eco lodge, located North of Drake Bay in the south pacific coast of Costa Rica, The cabins are located in a little hill very close to the beach. The Lodge is part of the Punta Rio Claro National Wild Life Refuge, with miles of pristine beaches and tropical rainforest to explore. 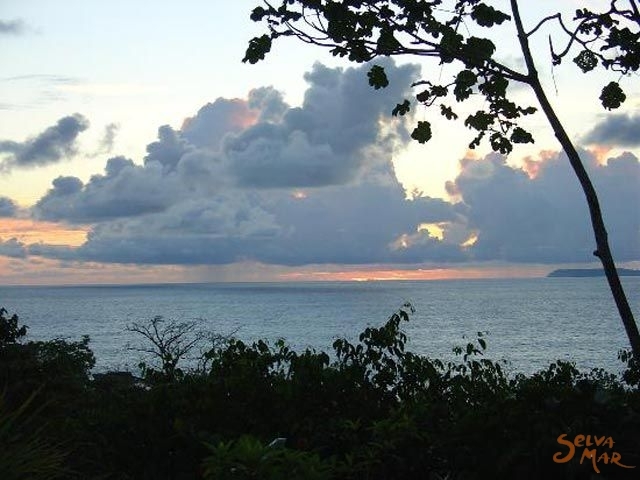 The area protects over 1000 acres of land which are near the Corcovado National Park. Due to our strategic location we can offer many activities Such as : Snorkeling, Horseback riding, Guided tours to Caño Island, Corcovado National Park, inside Punta Rio Claro Preserve, Kayaking, Canoeing, Bird Washing etc.